You might remember that little Makeup and Muses post a couple of weeks ago on my blog called the 2012 Beauty Poll in which I asked you muses to pick your favorite makeup, fragrance and skin care products. ♥For Makeup: The 3 choices included a Smashbox eye pencil set, a Too Faced natural eye kit and a Cargo eye shimmer. The votes were very close between Smashbox and Too Faced, but the ultimate winner was Too Faced! ♥For Fragrance: You could pick Covet by Sarah Jessica Parker, Fancy by Jessica Simpson or Incanto Shine by Salvatore Ferragamo. These votes were also super close among all 3 contenders, but I decided to give the win to Covet! ♥For Skin Care: This category was not as close as the other two. The 3 choices were Eminence sweet red rose cleanser, Purity Made Simple cleanser by Philosophy and the Murad soothing gel cleanser. Based on the results, Philosophy was the clear winner! So with these results I've decided to give one lucky muse the chance to win all 3 products in this Apothica Giveaway! You can win the Too Faced eye kit, the Covet fragrance by Sarah Jessica Parker and the Purity Made Simple cleanser by Philosophy! ♥Follow the Muse on Facebook & leave a comment on my Facebook page saying anything about my blog! Then comment on this post letting me know you did that! i follow you on facebook, twitter, and google friend connect. i would LOVE to win this fabulous prize! Just added you to a follow circle m'dear, and love love love your stuff here. Enter me please - I'm off to visit you on FB! Thanks for the giveaway. I know I love Too Faced and would love to win this! oooh lovely giveaway! Work blocks my facebook so I cant' enter :( but you know I'm following you on here and twitter! good luck to everyone! I wanna win this so badly! This is truly a brilliant giveaway! Pity I am not on Facebook or Twitter, is that mandatory? I follow you on Twitter, GFC, Bloglovin', and Google +. I'd love to win the perfume. Hi, thank you for this amazing giveaway! Thanks for the tip, I was following with bloglovin and now with GFC too. I would love the win this awesome giveaway! 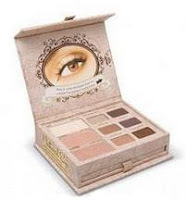 This is amazing *__* I've always Too Faced Natural Eye Kit ahhh. Cool collection of products! I'm off to comment on Facebook! I left a message on your FB page! I want the Too Faced eye kit.. has all the right colours in it! Naked Eye and Purity are definitely two of my favorites! 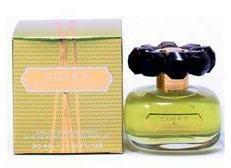 I've never tried Covet-but the bottle is gorgeous! Also you won my recent giveaway! Will email you within a few days! First off your giveaway is awesome. I already follow you on twitter. I liked your facebook page and bloglovin page. I also retweeted the giveaway and liked the post. I like your facebook page for some time now with the name Simona Floroaia. I also left a comment now. Already a follower on Bloglovin. Added you to my circles on Google+. ♥ I am a fan the Muse on Facebook & left a comment on the page! so cute this hearts on ur skirt !! Come and enter mz first giveaway doll,good luck ! I just Followed the Muse on Facebook & left a comment on your Facebook page. I Follow the Muse on Google Friend Connect as nightowl. I Follow the Muse on Twitter. Just commented on your Facebook!!! I already adore your site! Great giveaway! I like ur page on Facebook as Oana Livia Cimpeanu and also left a comment. Also, I am a GFC follower as Oana Cimpeanu. I like ur page on Facebook as madie tumblr and also left a comment. Great giveaway and lovely blog girl!! I would follow but I don't have a facebook.